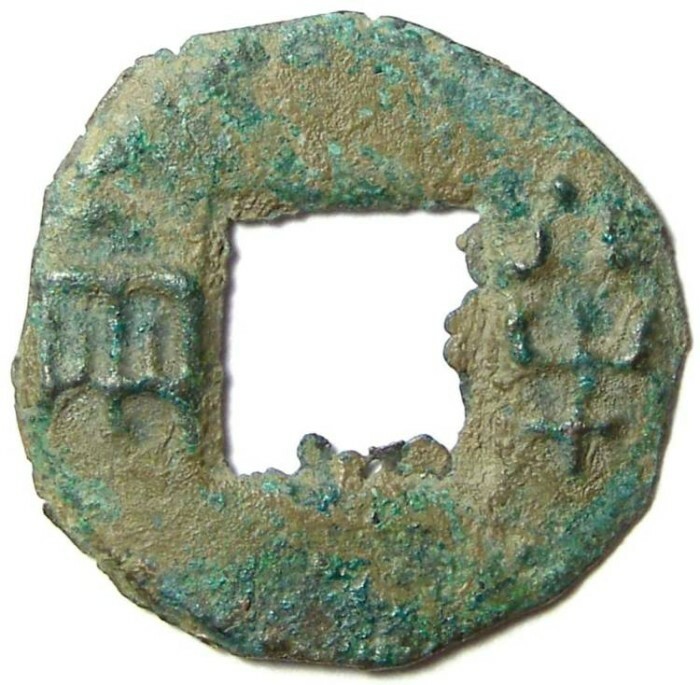 China, Western Han Dynasty. Ban Liang. ca. 179 to 136 BC. S-93 variety. Probably an illicit casting. Denomination : Ban Liang (meaning 1/2 ounce). Reference : Schjoth - 93 variety. Size : 21.8 x 22.7 mm. Weight : 1.66 gram. This specimen is slightly smaller and significantly lighter than one would expect for these, and is most like an illicite casting of that period. Grade : VF with a dark green, and some brown earthy deposits. Obverse : "BAN LIANG", meaning 1/2 ounce.